TIMOTHY LEARY WAS another early advocate of LSD experimentation. Leary taught psychology at Harvard and by 1960 was doing experiments with LSD and other hallucinogens, first on prison inmates and then on himself and his friends. LSD was not illegal at the time. In 1960, Allen Ginsberg, supervised by Leary, ingested psilocybin mushrooms, (under the influence of the drug, he phoned Jack Kerouac, identifying himself as God to the telephone operator), and began to spread the word about the new powerful psychedelic drugs. When Harvard dismissed Leary in 1963, he set up the Castalia Institute in Millbrook, New York, to continue his studies. Leary's approach to taking LSD was the opposite of Ken Kesey's --Leary believed in "set and setting," a practice of taking the drug in a controlled environment, as a safeguard against bad trips. He coined the phrase "Turn On, Tune In, and Drop Out," and formed the "League of Spiritual Discovery," an LSD advocacy group. 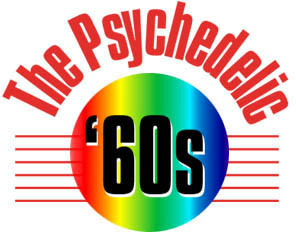 In the mid sixties, he began attending numerous musical events and public forums that promoted the use of LSD. Leary spent a number of years in prison for various charges related to drug possession. Art Kleps. 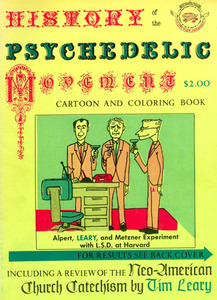 History of The Psychedelic Movement Cartoon and Coloring Book. Millbrook, N.Y.: Neo-American Church, 1967. 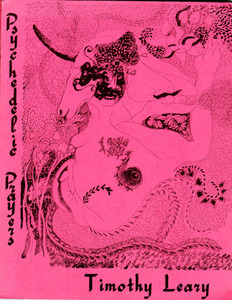 This coloring book recounts scattered historical accounts of psychedelic drug use, focusing mainly on Leary and his associates, Alpert and Metzner, and their experimentations at Millbrook, New York. Art Kleps. The Neo-American Church Catechism and Handbook. Millbrook, N.Y.: Kriya Press of the Sri Ram Ashrama, 1967. THIS HANDBOOK ATTEMPTS to establish a religious order that would allow for the spiritual use of psychedelic drugs. The introduction states: "The Neo-American Church is one of the four major religious organizations in the United States to use psychedelic substances as sacraments. We maintain that the psychedelic substances are sacraments, that is, divine substances, no matter who uses them, in whatever spirit, with whatever intentions: it is not just a question of terminology. The other three groups are the Church of the Awakening, the Native American Church, and the League for Spiritual Discovery." 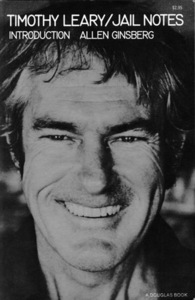 Timothy Leary. Psychedelic Prayers After The Tao Te Ching. Kerhonkson, N.Y.: The Poets Press, 1966. HERE LEARY MADE his case for the benefits of psychedelic drug use, noting that millions of Americans have had hallucinogenic experiences: "We include marijuana smokers, the adepts in hatha yoga, meditators, peyote eaters, mushroom eaters, the LSD cult, and those millions who have had an involuntary psychedelic experience, those institutionalized mystics we call psychotics." Leary suggests historical, psychological, and biological bases for his arguments. The book also includes a number of poems from Lao Tse that Leary believes were a result of psychedelic experiences. New York: Douglas Book Corporation, 1970. 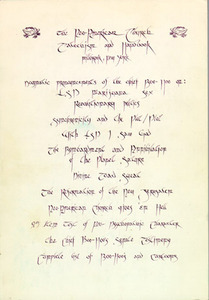 DUE TO TIMOTHY Leary's highly publicized advocacy of the beneficial properties of LSD, the authorities were hoping to find legal means to incarcerate him. Richard Nixon called Leary "the most dangerous man in America," and when in 1966 his car was stopped crossing the Mexican border, Leary's daughter was arrested for the possession of marijuana. Leary took the rap and was sentenced to ten years in prison. He escaped in 1970, sought asylum in Switzerland, but was recaptured by DEA agents in 1973. His conviction was overturned in 1976. Jail Notes was written during the first seven months of incarceration, before Leary escaped and fled to Switzerland.